Faced with dwindling resources, overcrowded prisons and much more significant crimes, Detroit police are now ignoring traffic infractions. Below, ABC News describes an incident where Detroit's police chief let someone driving without a license go with merely a warning. 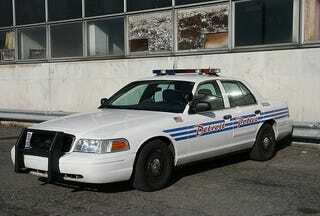 He certainly is a legitimate arrest," said Detroit police chief Warren Evans of that license-less driver. "But is it worth being out of service for an hour and a half in an area where the priority runs could be significant in that hour and a half?"